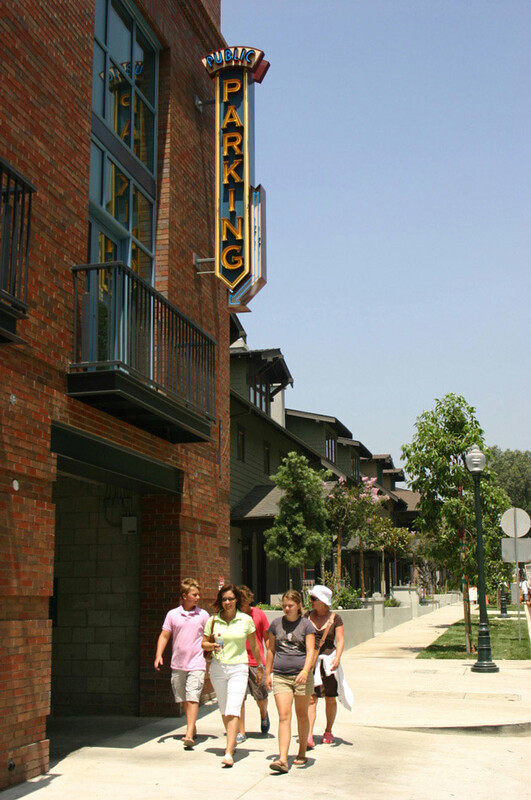 Mission Meridian Village is a transit-oriented development adjacent to a light rail station on the Gold Line between downtown Los Angeles and Pasadena. 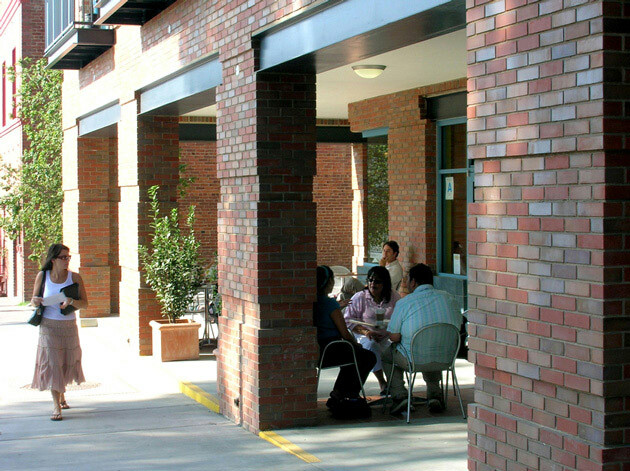 The site is located between a traditional neighborhood and an historic neighborhood center in the process of being revitalized. 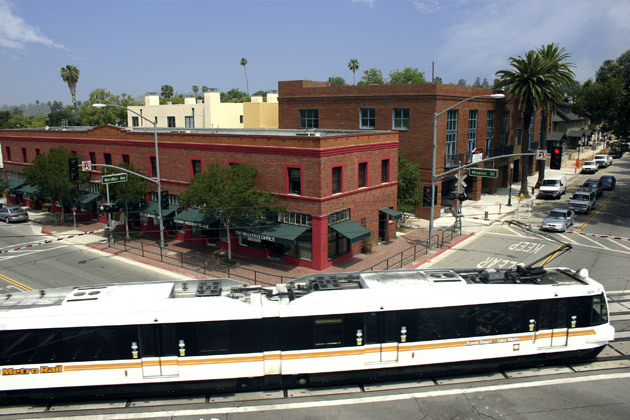 Sixty-seven condominiums and 5,000 square feet of retail space are available for people interested in living in an urban mixed-use environment and/or commuting to work by train. 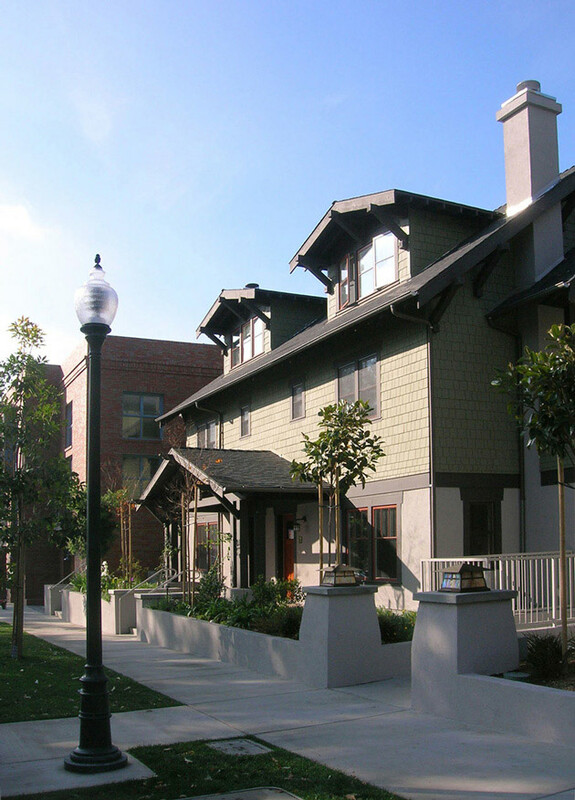 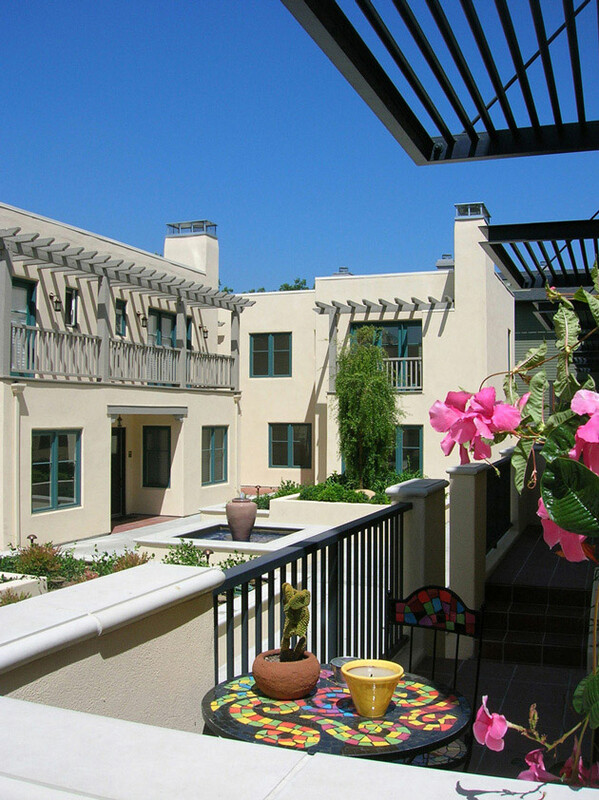 Buildings of various types are arranged on the 1.65-acre site, including courtyard housing, single-family houses, duplexes and mixed-use lofts, generating a streetscape that mediates between the commercial character of the existing neighborhood center and the residential scale of the California bungalows surrounding the project. 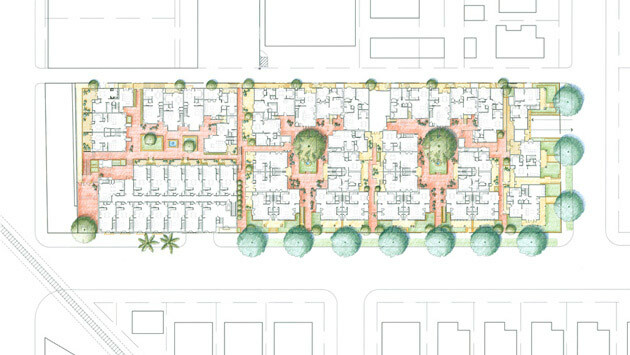 These diverse types amount to an average density of forty dwellings per acre. 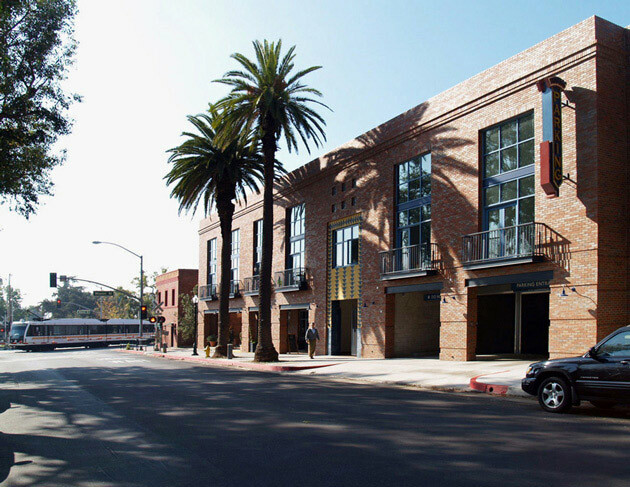 Two levels of subterranean parking provide 280 parking spaces to commuters, project residents and neighbors.